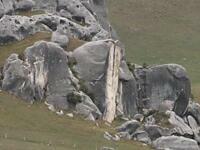 Day 1: (Tuesday 11th Mar 2008) On the way to Klondyke Corner we briefly stopped by Castle Hill to look at the rock formations. 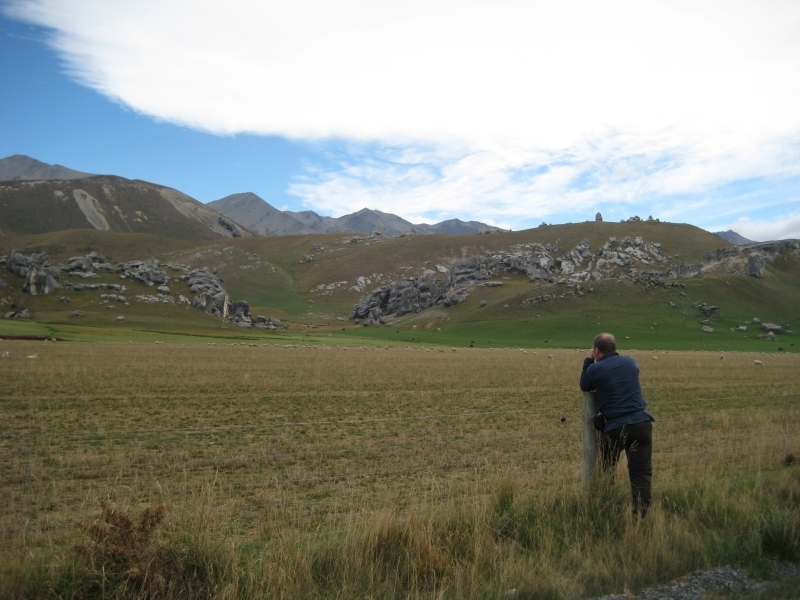 I would have liked to go up and get some real photographs (like those on the right), but everyone else seemed to underwhelmed by them! 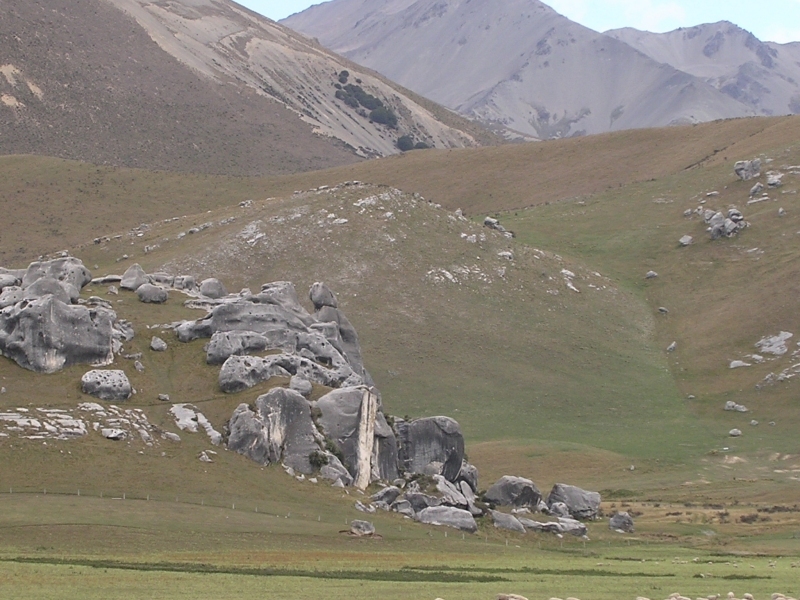 This was the location for the final battle in the film "The Lion, the Witch and the Wardrobe". 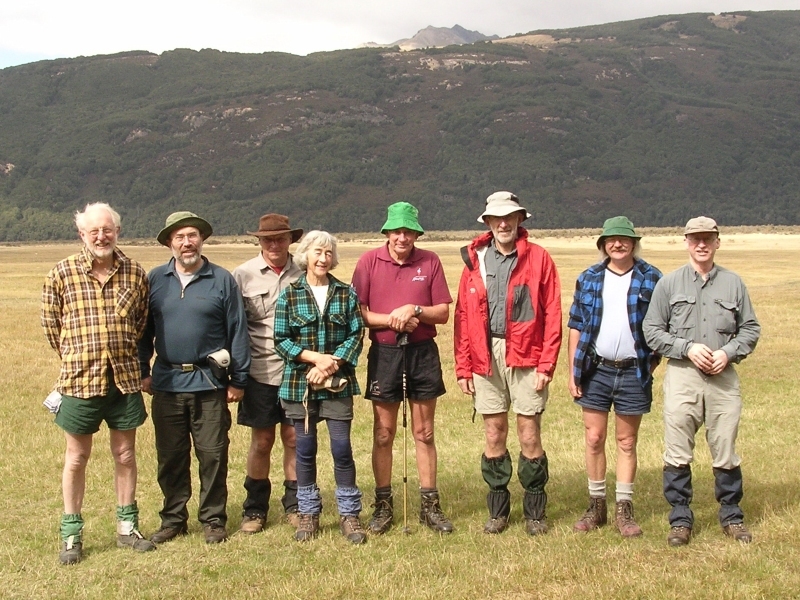 We started from the end of the side road north of the Waimakariri road bridge, on the Crow Valley "track" after the standard team photo. 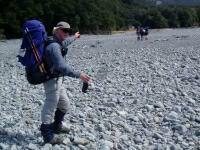 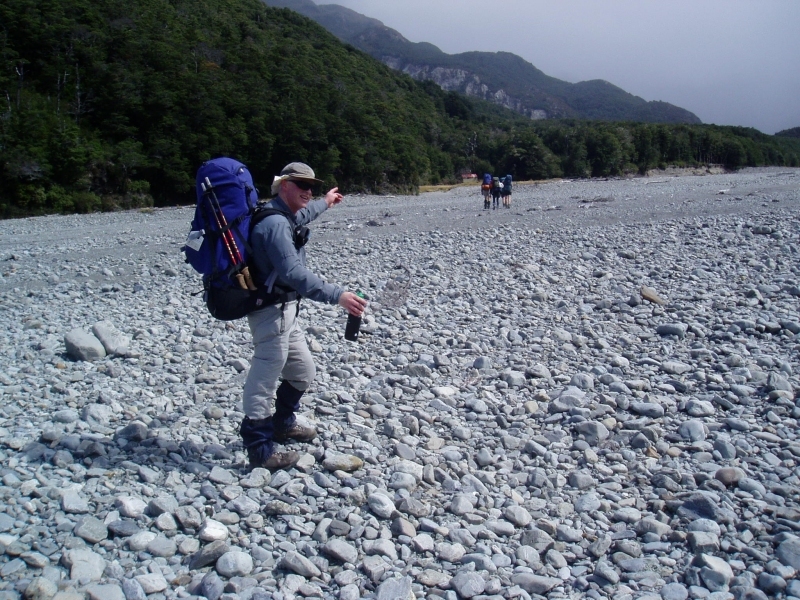 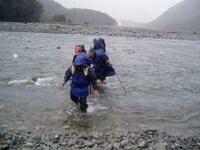 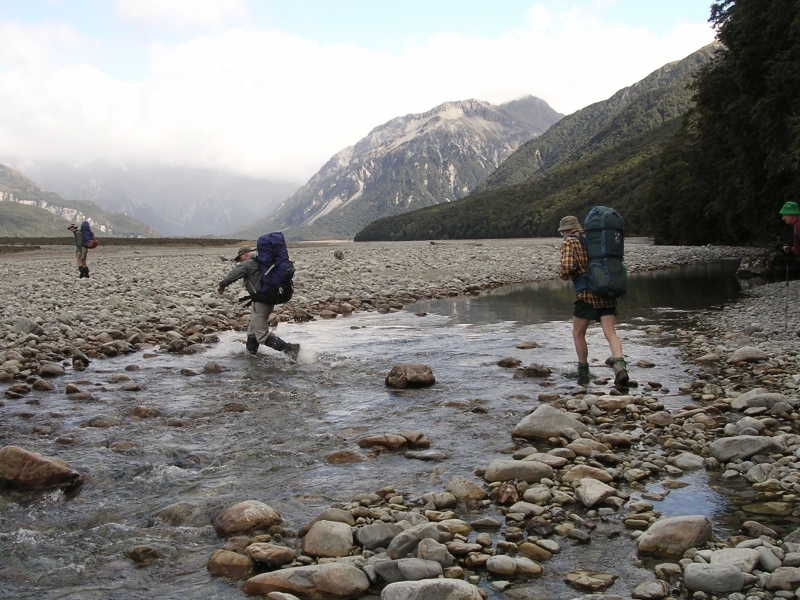 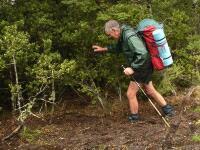 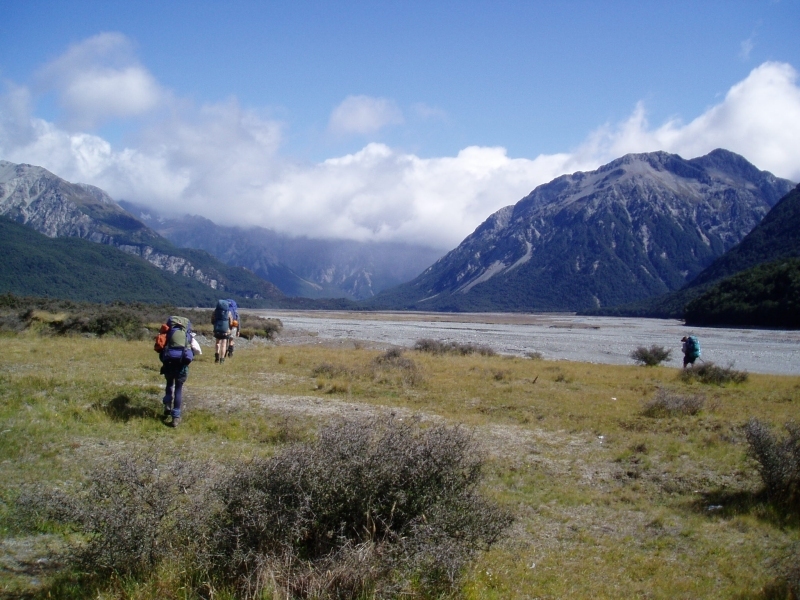 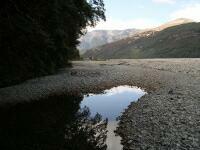 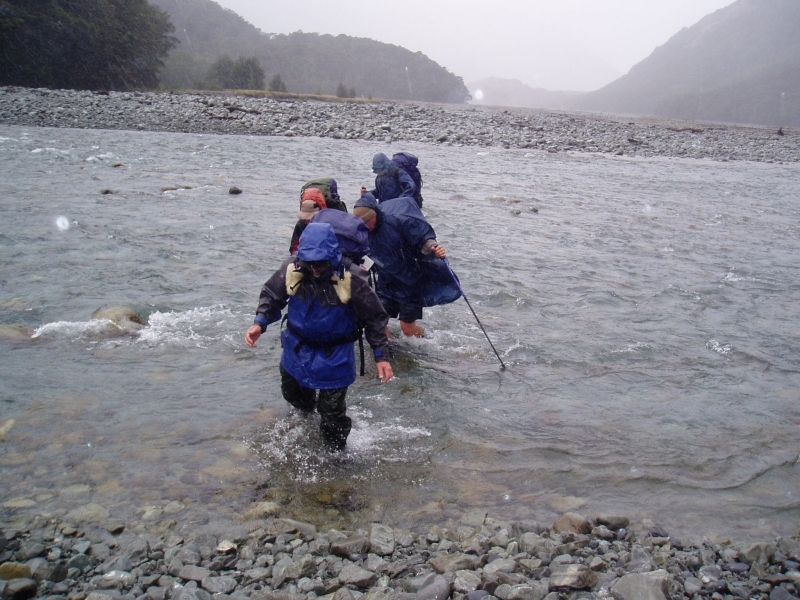 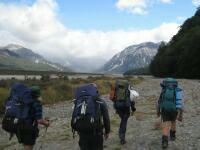 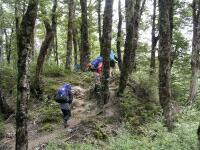 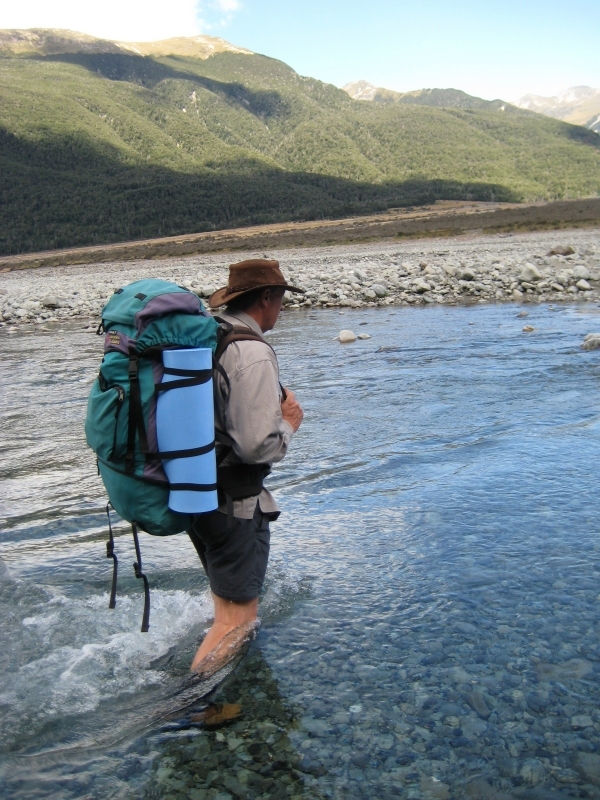 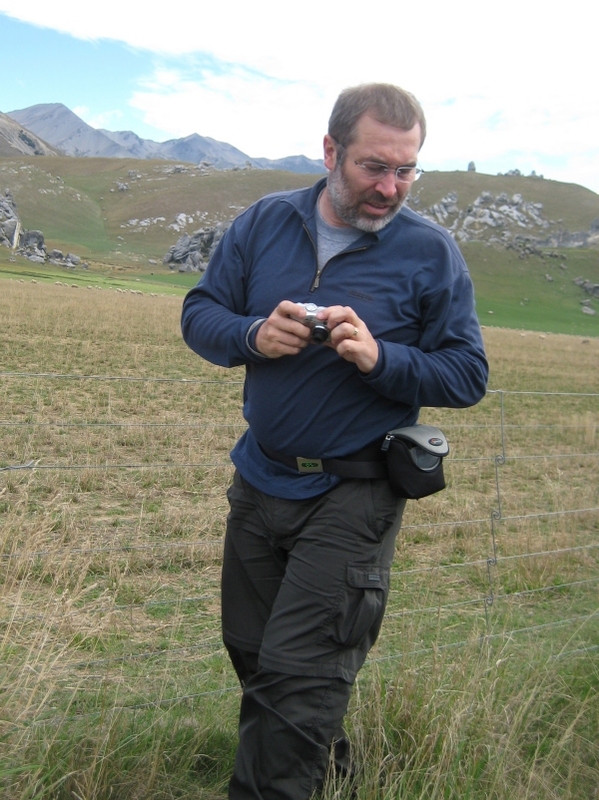 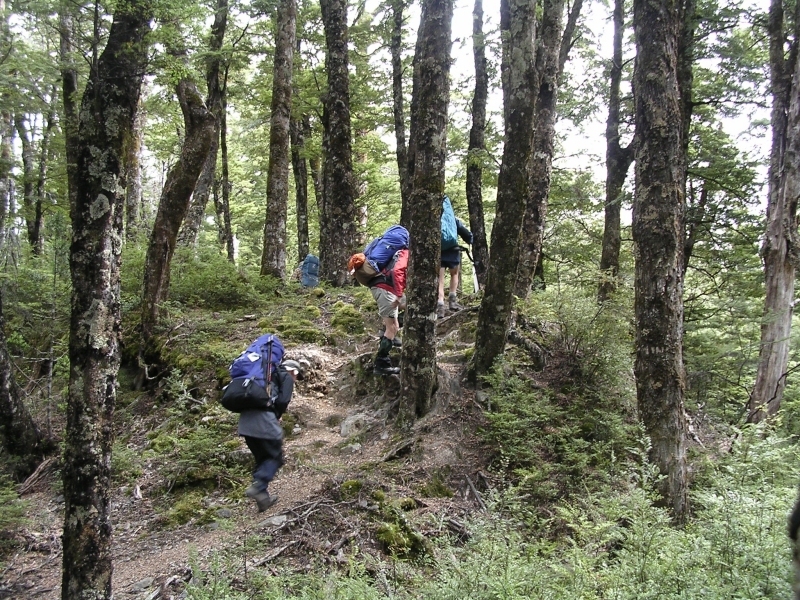 The track rapidly becomes the Waimakariri River bed with a number of crossings of sections of the river required. We then crossed the main river and headed over Turkey Flat with Mt Stewart (1934m) ahead to our right. 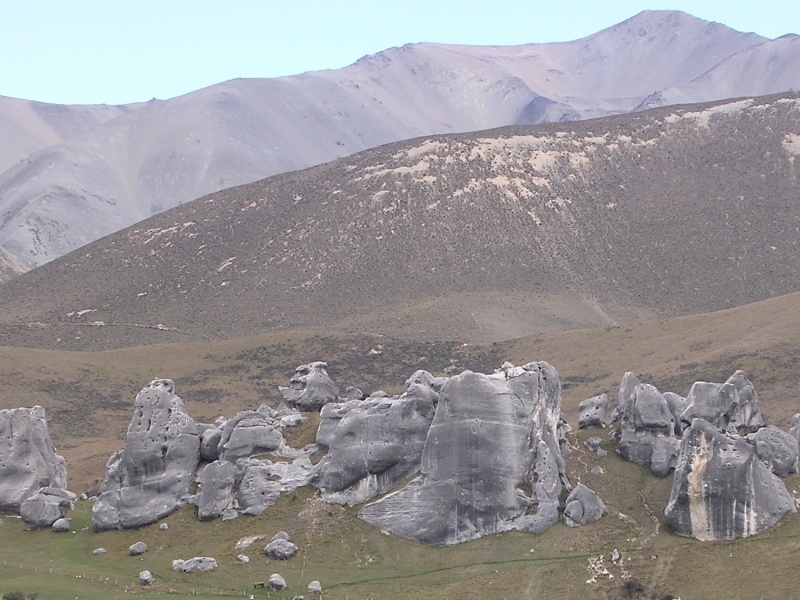 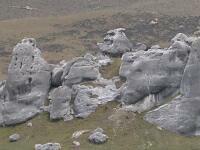 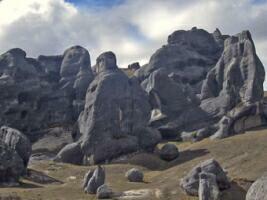 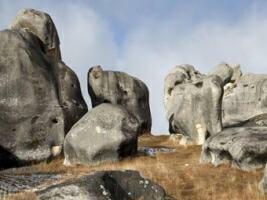 I kept seeing the sort of rocks I want in my garden so I don't recall much of Mt Stewart!! 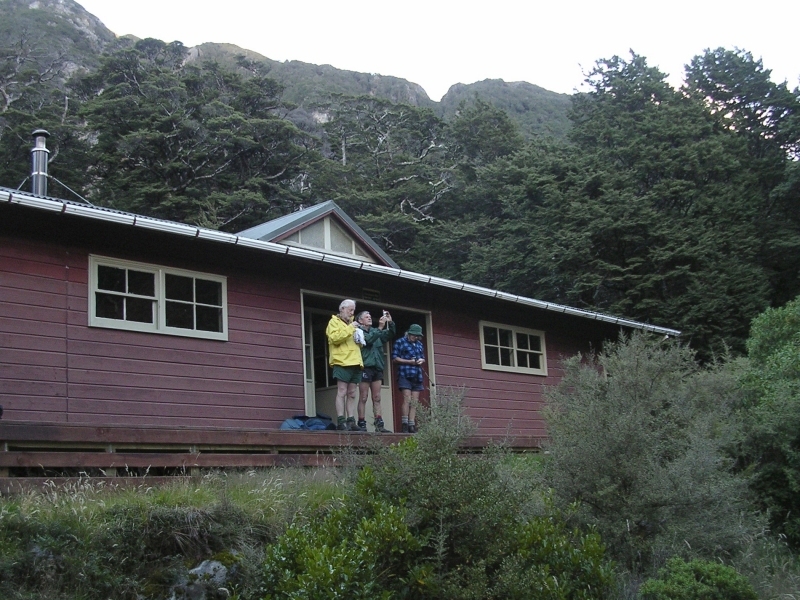 This took us to Anti-Crow hut and lunch, just before the rain. 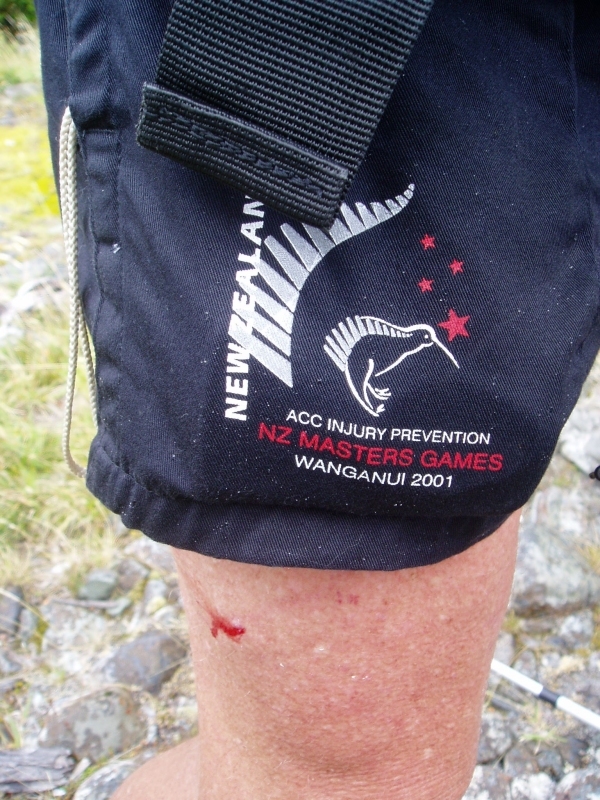 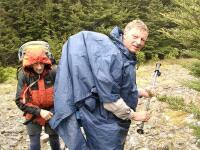 Jim's 2nd hand injury prevention pants didn't work (watch this space) and the rain became more set-in. 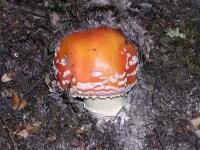 I found a hidden little pocket in my coat that fitted the camera and could whip it out for snaps of fungi etc. However, despite consulting books and web pages, I have problems identifying the various mushrooms and toadstools, so NEVER assume my identification is correct - in fact, unless it can be purchased from a supermarket, I wouldn't eat any "wild" fungus, some are just too toxic to risk!! 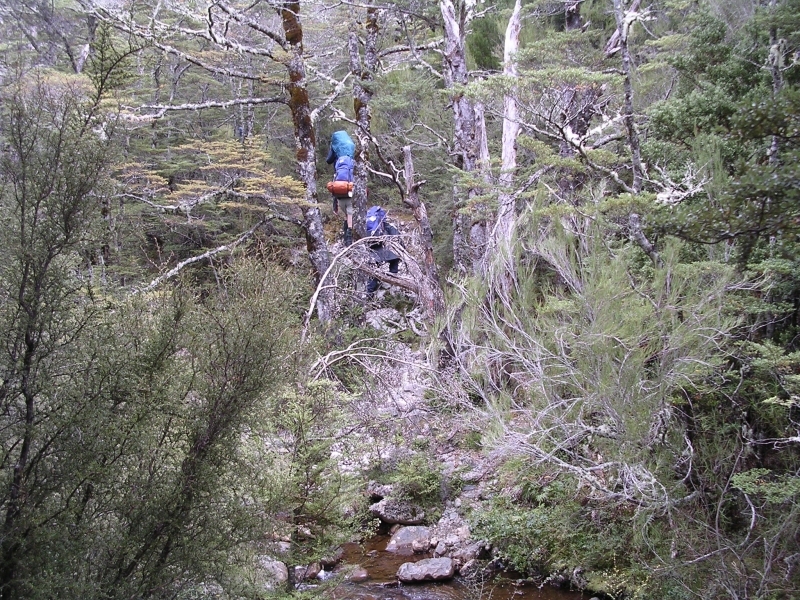 The "River Route" involved a number of crossings, so we were hoping the river didn't rise too much (although there is a high water track). 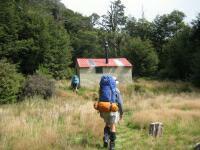 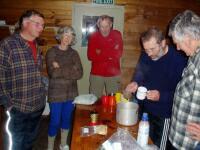 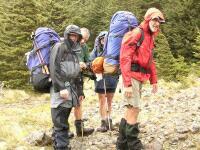 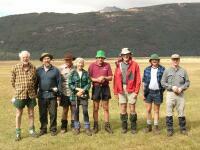 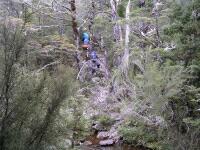 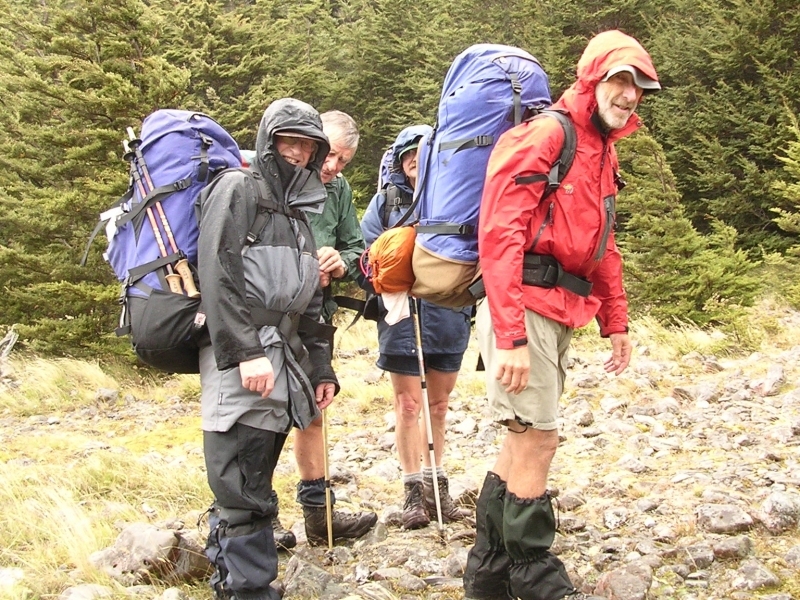 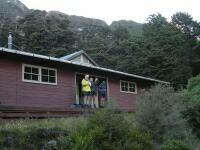 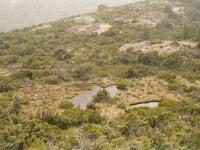 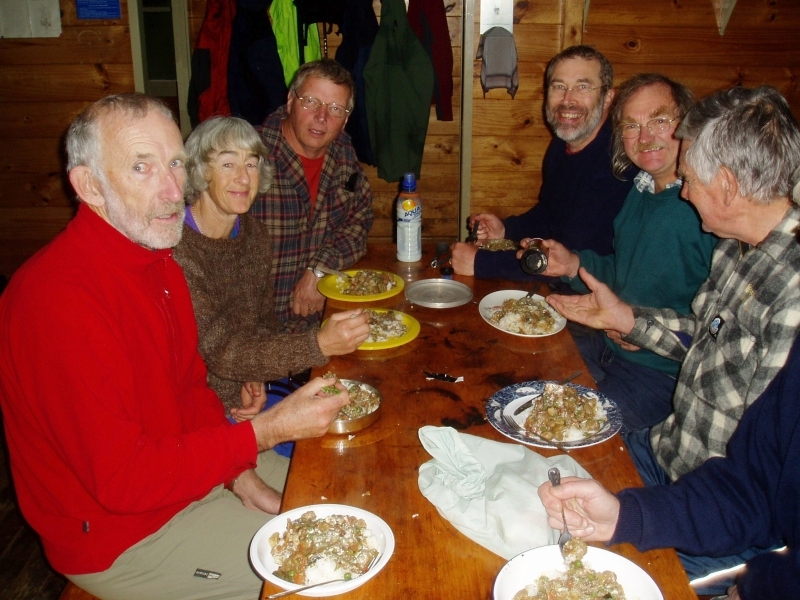 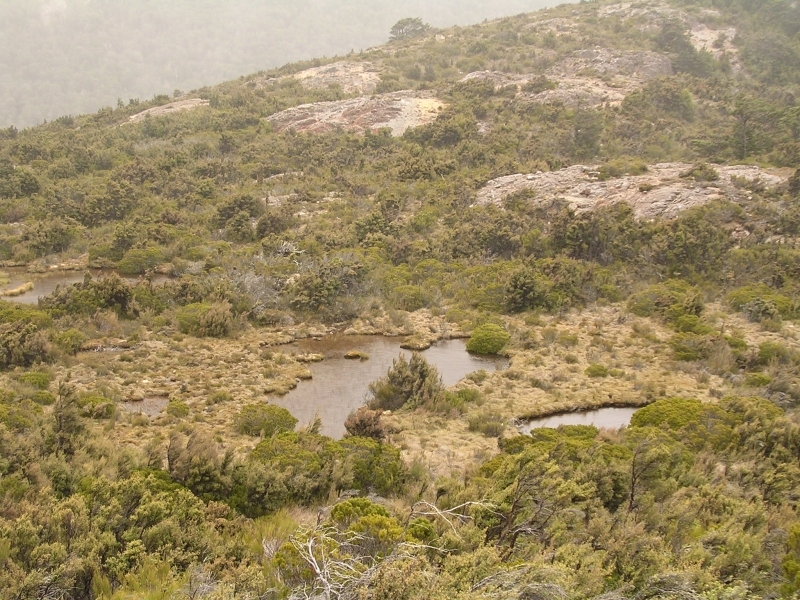 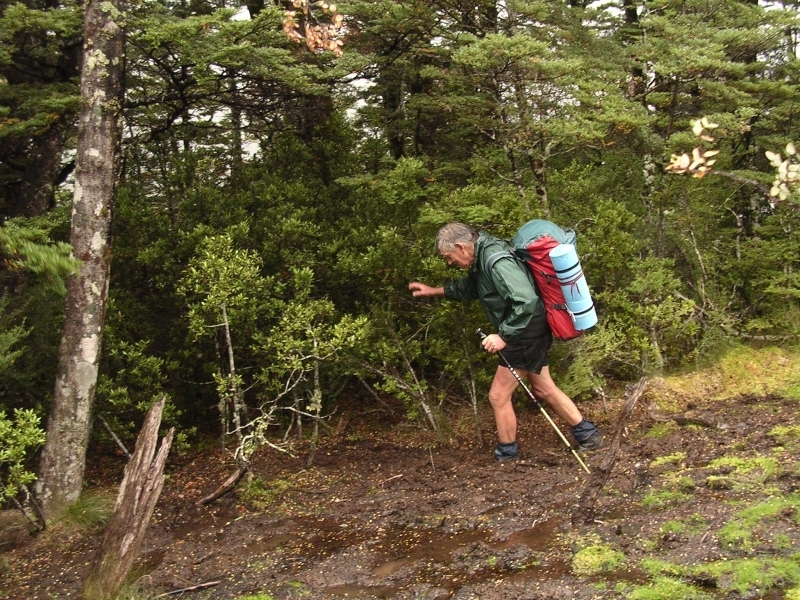 However, by the time we reached Carrington Hut, we were looking forward to that hot cup of soup! Dinner was an "expanded" vegetable Korma. 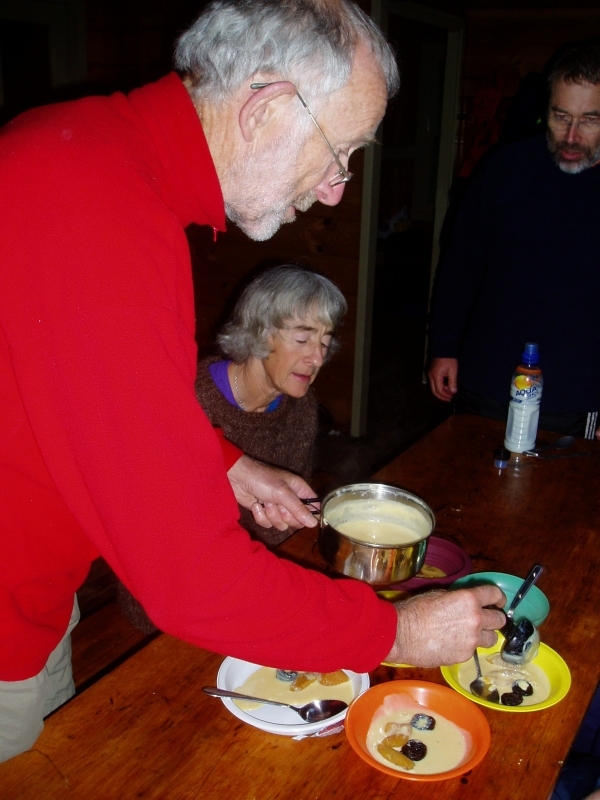 Desert was a change from the "traditional" milk pud to dried fruit and seameal custard, skillfully composed by John B.